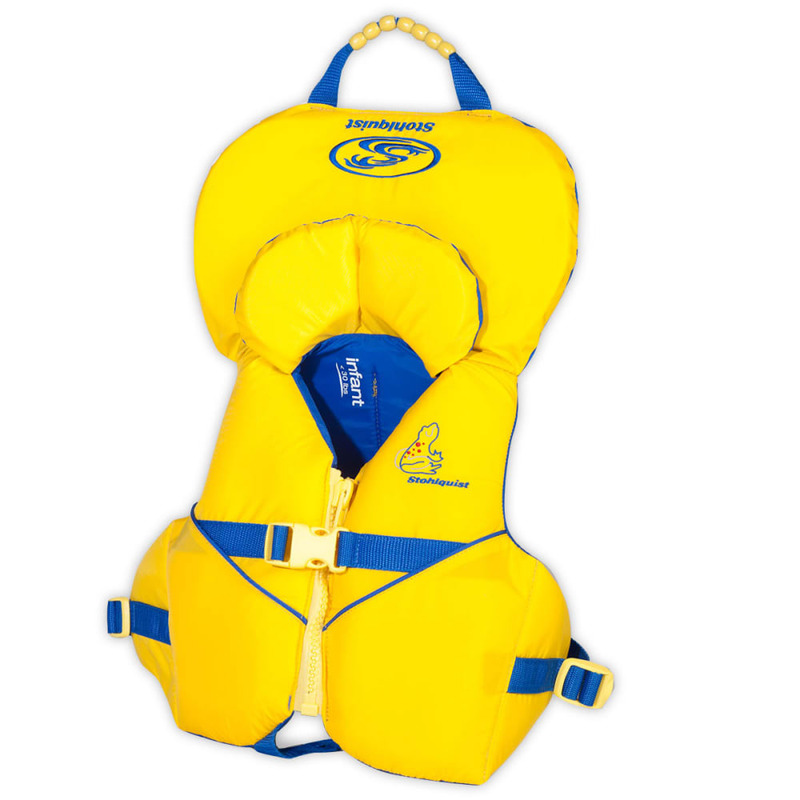 STOHLQUIST Nemo Infant PFD, 8-30 lb. The unique wrap-around flotation of Stohlquist's Nemo turns a child face up in water. Dual-support collars cradle the head, while a front-zipper entry and adjustable crotch strap secure the jacket in place.